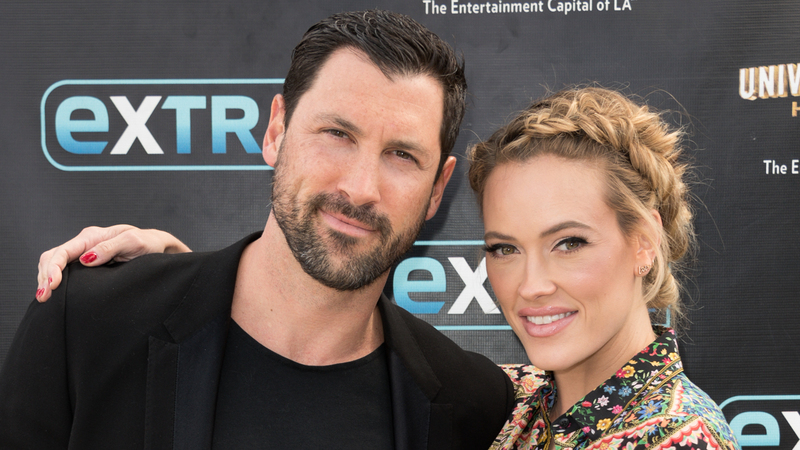 Dancing with the Stars pros and married couple Peta Murgatroyd and Maksim Chmerkovskiy share one child, son Shai, 21 months. But when it comes down to it, there's not a lot of sharing right now; apparently, it's all about Mama these days for the toddler. Will Shai be willing to share his mama with a sibling? We're guessing no, but that's not going to stop the demigod and demigoddess of TV dance-offs from having a second baby — at some point. Murgatroyd made a different, simpler decision this month and put baby musing briefly on hold. She went from her usual blond to brown hair this month. And while Shai never has trouble recognizing his mother, well, her husband definitely did. Probably a sign Maks could use a little more time with his wife. Stop hogging your mama, Shai.